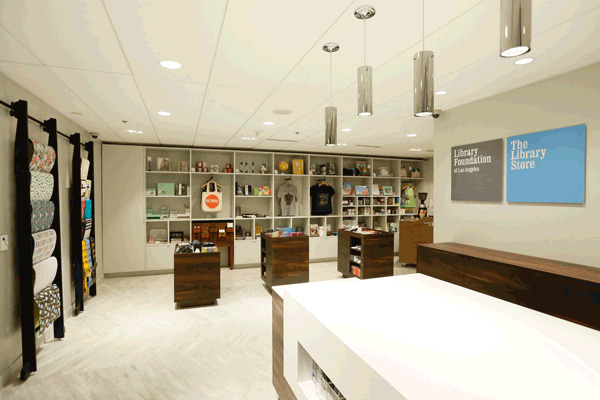 A carefully curated collection of fun and eclectic gifts and goods in the Central Library! Located in Downtown's historic Central Library, The Library Store features a carefully crafted collection of eclectic literary gifts and goods. As part of the Library Foundation of Los Angeles, proceeds from The Library Store benefit the Los Angeles Public Library and its 73 locations. In 2012, the Foundation launched The Library Store On Wheels, a mobile incarnation of its critically-acclaimed store, bringing the one-of-a-kind shopping experience to library lovers all over Los Angeles. The Library Store is located at 630 W. 5th St, Los Angeles, CA 90071 in the Los Angeles Central Library; a few blocks away from the Metro Red/Purple Line at the Pershing Square Station and Red/Purple/Blue/Expo Line at the 7th/Metro Station. For your best route, use the Trip Planner.